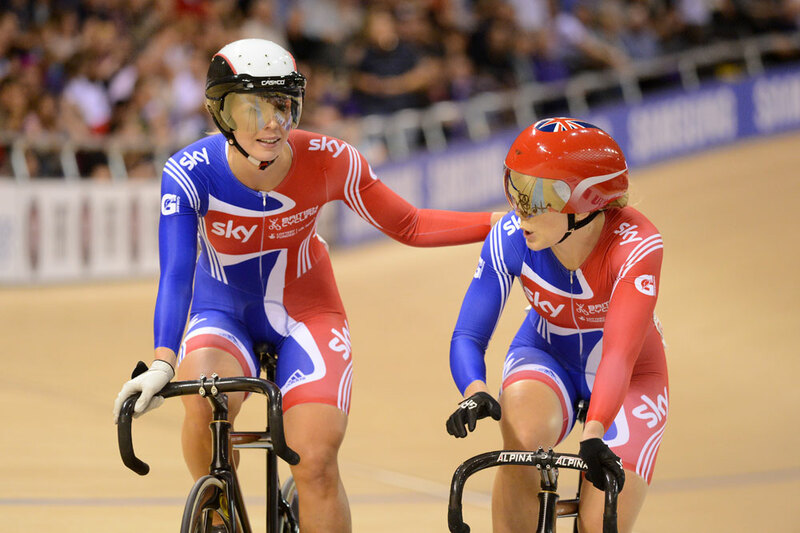 After a successful start to the Glasgow Track World Cup on Friday, Great Britain’s riders suffered a more testing Saturday. Jason Kenny missed out on a medal in the keirin as he crashed heavily in the final. However, 24 hours after winning the women’s team sprint, Jess Varnish and Becky James again stood on the podium together, this time in the individual competition. Varnish claimed silver having beaten James in the semis. Until his fall, Kenny had looked unassailable in the keirin and on course to take gold. He made light of qualifying then impressively rode from the rear to win in the second round. However, coming down the back straight in the final, he appeared to drift into the line of German Stefan Boetticher. The inevitable touch of wheels occurred, throwing Kenny to the floor at 45mph. Boetticher survived unscathed and held on to win. Kenny was quickly on his feet and crossed the line on his road bike to take fourth. Speaking about the crash, Iain Dyer, GB sprint coach, said: “He got caught in a bit of a drag race with Steffan Boetticher, the German guy, which he didn’t really want to take on at that point on the race. “He was looking for the wheel, looking to get into the slipstream again and he was keeping an eye on Lafargue behind him and I think both Boetticher and Jason were looking behind at exactly the same time, both moved in the same direction and Jason never saw it coming, he just smelt it and heard it. “I’m pleased to say he’s still alive and kicking,” Dyer added. Sprinters James and Varnish enjoyed a ding-dong battle in the sprint competition, which started with the former narrowly going quicker than the latter in qualifying. James then overcame Xuemei Li and Tania Calvo Barbero in the knock-out rounds to set-up a semi-final encounter with her compatriot. Varnish, having beaten Anastasiya Voynova and Olivia Montauban, confidently came back from losing the inside line at the start of the bell lap to beat her fellow Brit in the opening heat. James narrowly took heat two, before Varnish won the decider. Varnish ultimately had no match for German Kristina Vogel in the final, who had earlier qualified the fastest, but there was some impressive sprinting on show from both her and James, and further emphasised the quality of Britain’s young talent. Andy Tennant finished fifth in the individual pursuit just hours after requiring stitches following a heavy crash in the team event. His time of 4-28.806 was 0.7s over what he needed to progress to the bronze-medal race off. Impressively, Jon Dibben’s time in the omnium pursuit was faster than Tennant’s. The 18-year-old rode the 4km in 4-26.982, and finished an encouraging fifth overall in the six-event discipline. German Lucas Liss was the surprise winner, beating world champion Glenn O’Shea by a single point. 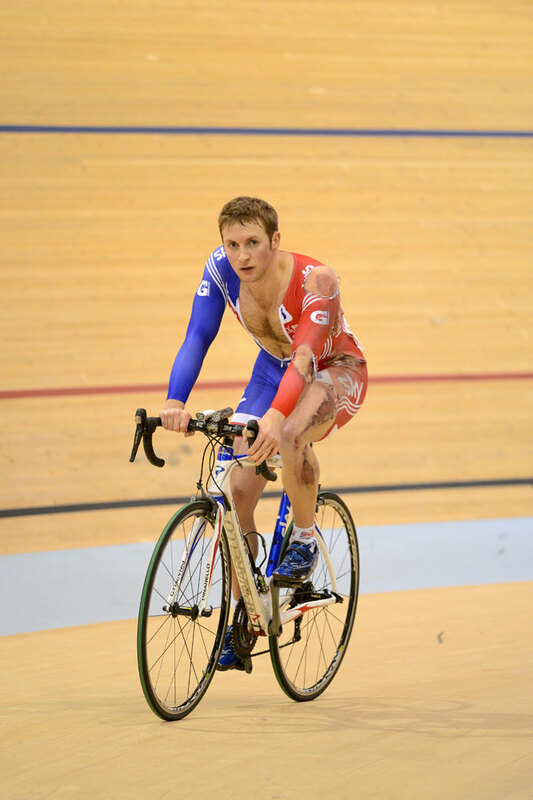 Like Kenny, there was a painful exit for Lewis Oliva – riding for Team SWI – in the men’s keirin second round. Oliva lost control on the final corner, and was stretchered away from the track. TV pictures showed extensive grazing on his left leg. British Cycling reported Oliva suffered mild concussion and a cut to the head, as well as suffering skin abrasions. He will be monitored overnight. 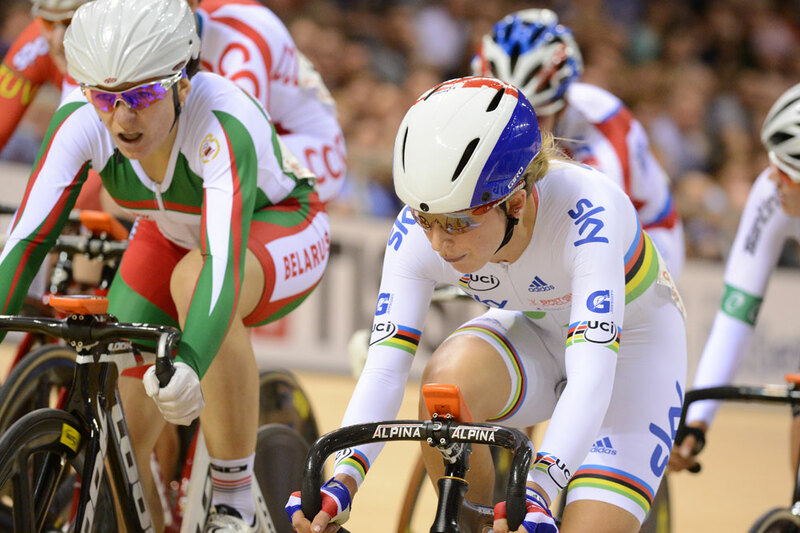 Laura Trott goes into the final three rounds of the women’s omnium lying in fourth place. Trott, the Olympic and world champion in the discipline, finished fourth in the flying lap, ninth in the points race and – rather predictably but still enjoyably – won the eliminator. 1. Lucas Liss (Ger) 1-02.